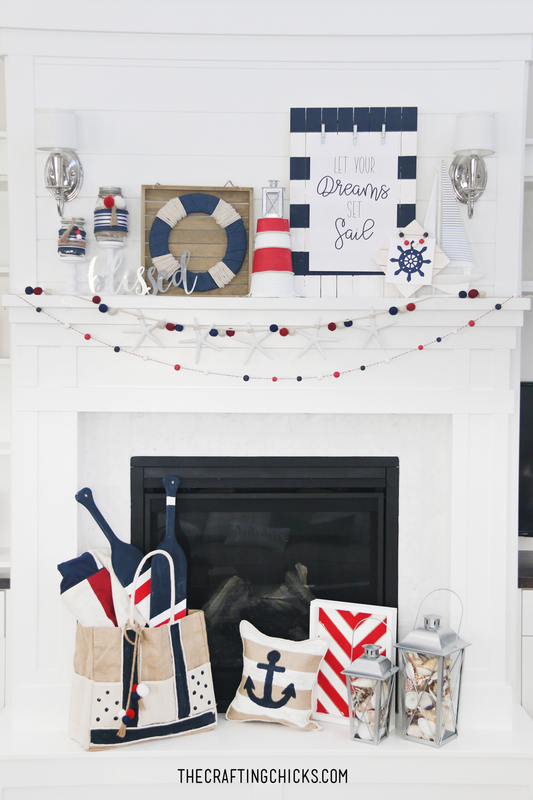 We loved creating this Patriotic colored Nautical Mantel with our partners at Oriental Trading Fun 365. With summer around the corner, we think this is a fabulous idea for a fun, happy and bright mantel for the season. 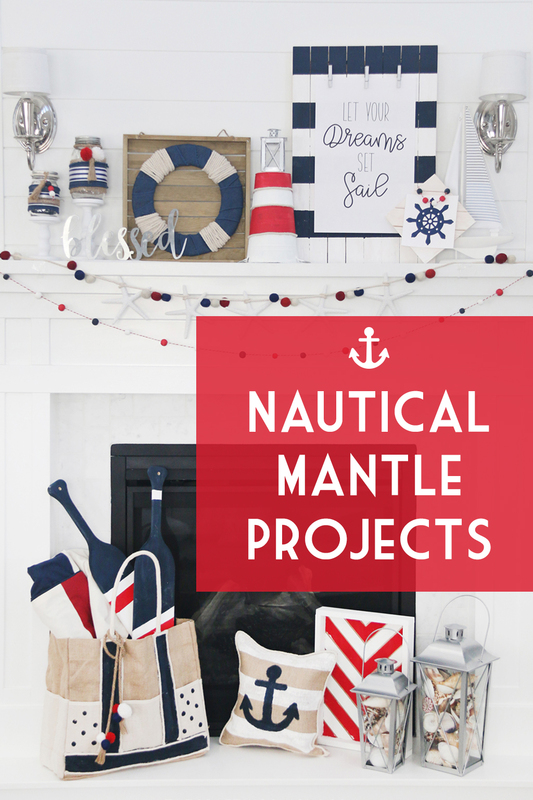 This Nautical Mantel combines red, white and blue, with Nautical Themed DIY Decor Ideas. 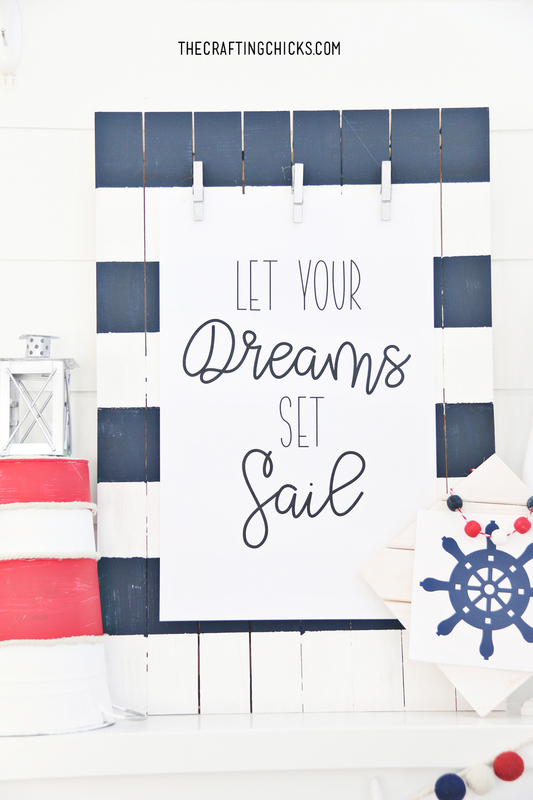 You can find all our DIY projects and Inspiration, along with Free Nautical Printables on Fun365! 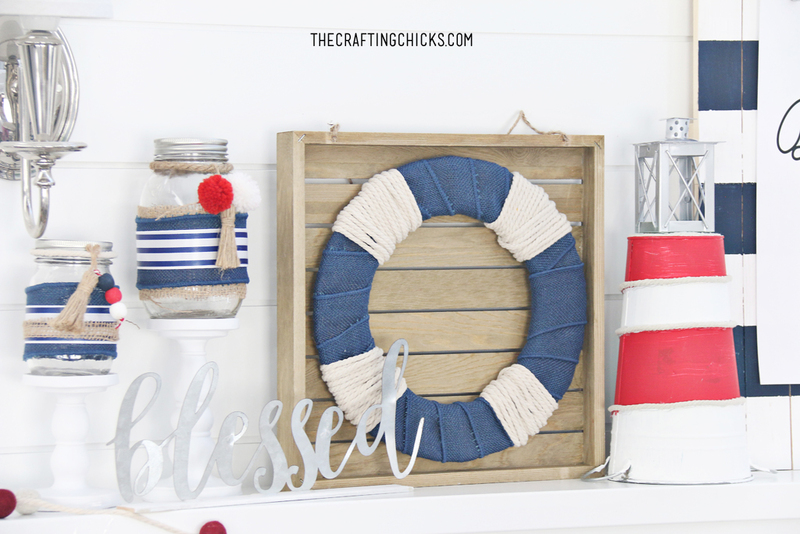 This Nautical Wreath Plank sign is an easy and adorable DIY to add to the center of a Patriotic Nautical Mantel. The layers of burlap and rope, create the perfect life preserver. 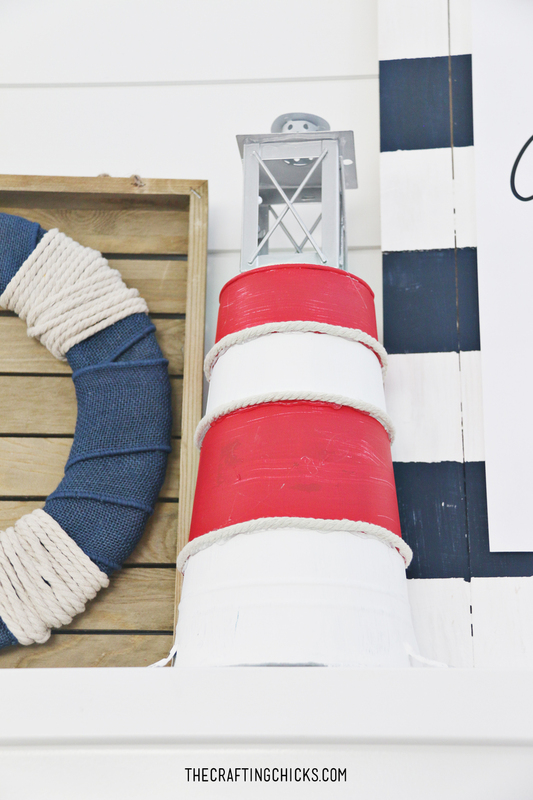 You have to click over and see how clever this DIY Nautical Lighthouse project is! You will love how easy this is to create with a few items. Its so fun with pops of red and white! A perfect Piece for a Nautical Mantel! We love creating garlands for Holiday and Season Mantels. 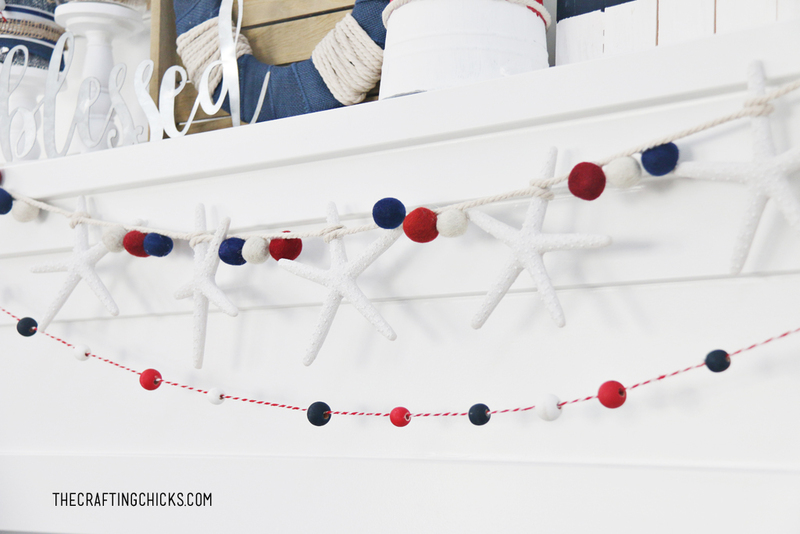 Click over to see how we created a DIY Nautical Starfish Garland. We love the pops of red, white and blue. This DIY Wood Plank Sign is so fun to make! 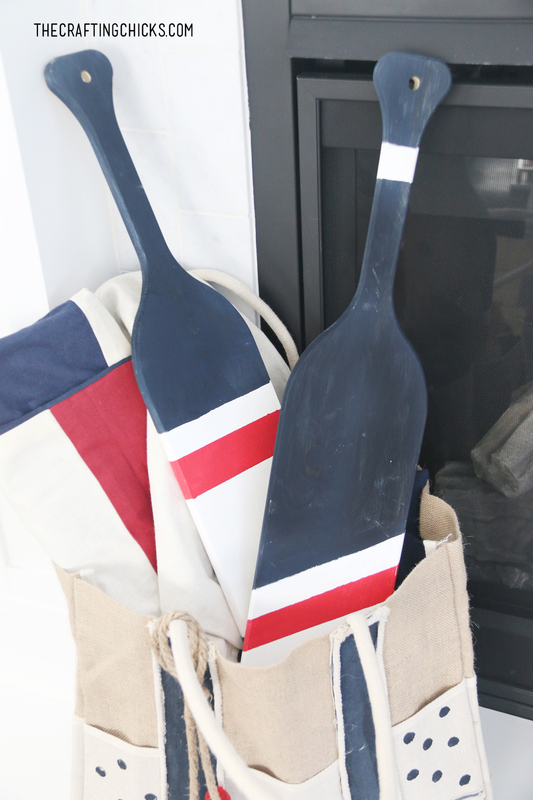 The big navy and white stripes pop out so great on the Nautical Mantel. 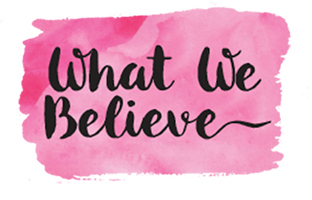 Click over to get the Printables for this DIY Sign. 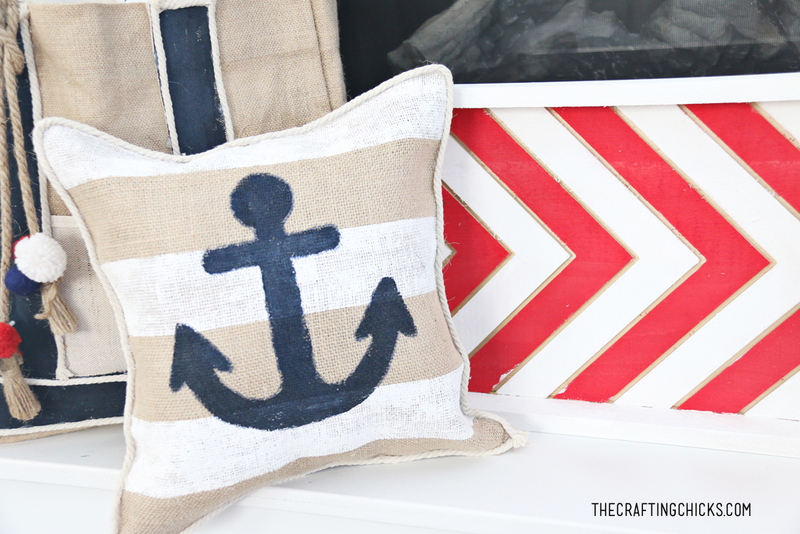 Create this clever Burlap Anchor Pillow that ties in perfectly with the Nautical Mantel. Pillows are fun to add at the bottom of a Mantel or on a Hearth.